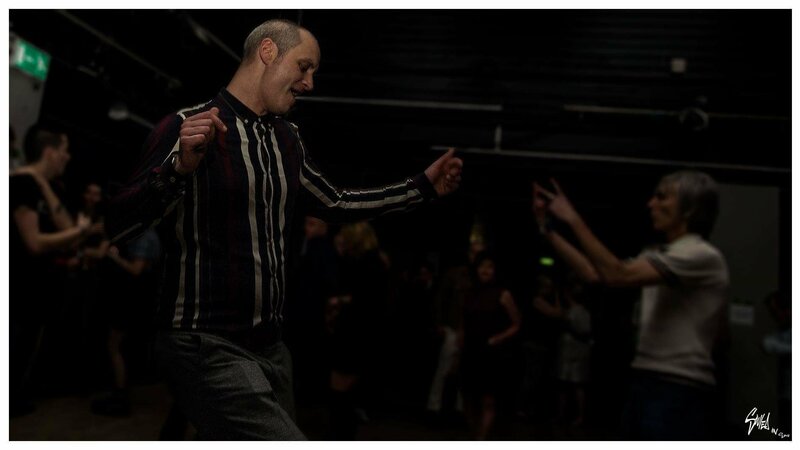 9 HOURS OF GREAT NORTHERN SOUL MUSIC through a 12k sound rig in Main Hall! One of the biggest All-Nighters of all time. Still going strong after 30+ years! Alternatively only £12 on the door. Gonna be rocking! 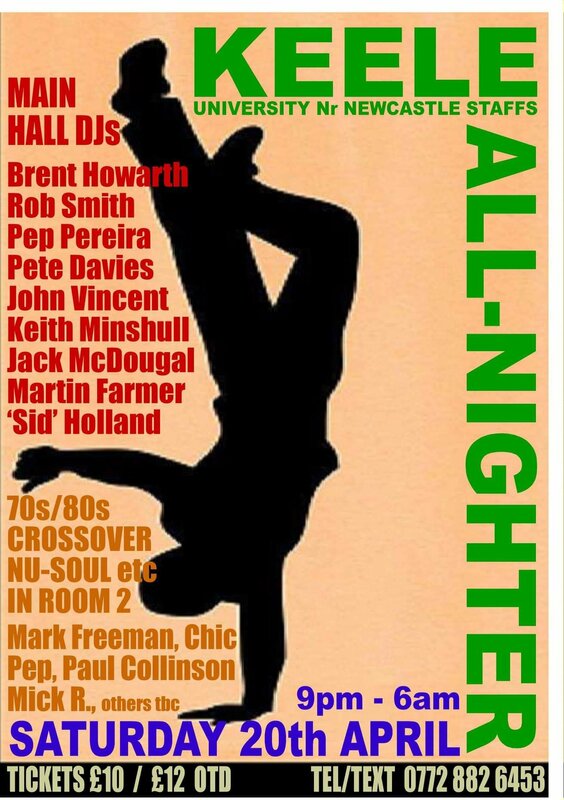 great all nighter , top venue , super facilities , get on it soul people ! Strong ticket sales or what! Back to its legendary best! Can't wait. Hope you're playing some bangers! Re-launch All-Nighter in January was brilliant! This looks set to surpass even that. Mighty Keele... Back to its legendary best! Local hotels in high demand too I hear! Just as well it's a big venue! You'll be fine Mick... Have seen your original vinyl 70s/80s. You'll smash it in the Modern Room on Saturday! Cheers pep got abit of everthing to get that floor going "come on keele"
Just letting the DJs know first. Will be on here within the hour. This Saturday , keele all nighter , legendary venue , great music in both rooms , totally OVO , "the All nighter " this weekend , get sorted soul people ! support this all nighter now ! Phone and messenger hot today! Nationwide interest. Ticket cut off point now past, but no need to worry, this is a big venue! See you later folks. Gonna be special!